This may be the first time in my career when there was so much excitement and uncertainty in the enterprise software space. On one hand, major vendors are promoting exciting new flagship technologies. On the other, many CIOs and other executives are nervous about the relative immaturity of these new products.In many ways, 2018 will bring exciting new trends to be aware of. In other ways, the coming year will bring more of the same. 1. Capital investments in digital transformation initiatives will continue. more companies are reaching the end of their legacy system lifecycles dating back to Y2K system replacements, and more industries are going through major, market-driven transformations (think: the retail industry grappling with the disruption of Amazon and the e-Tailing trend). All of these factors will lead more companies to revisit their enterprise system strategies going into the new year and beyond. 2. 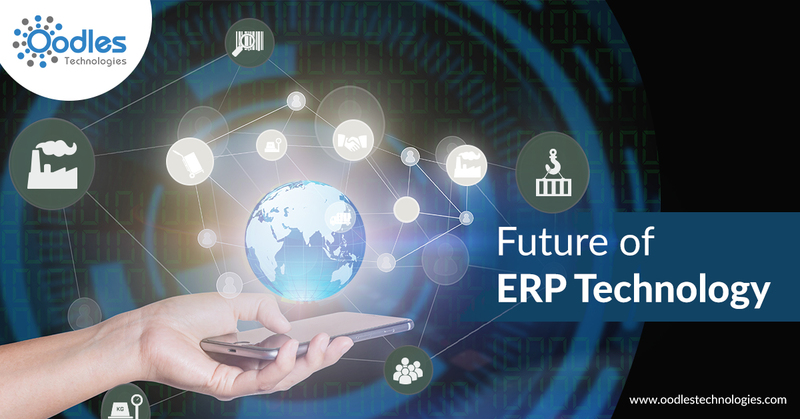 Cloud ERP software will reach a tipping point. along with executives’ continuing comfort level with on-premise deployments. The coming year may be the year where one of these two conflicting pressures win out and cloud systems are either more widely accepted – or the trend proves to be a short-lived fad. (Watch for our upcoming 2018 ERP Report to see if cloud adoption regains momentum after giving up market share last year). 3. More organizations will be forced off their legacy ERP systems. support for these dated products, leading many organizations to conclude that they have no choice but to migrate to more modern enterprise technologies. When combined with trends #1 and #2 above, executives are more likely to reconsider their platforms of choice moving forward into the long-term. 4. More companies will say “no” to ERP software. monolithic ERP systems. Potential alternatives include less risky upgrades, more attention to business process reengineering, and point solutions. Whatever the exact alternatives pursued, the coming year’s focus will be on fixing more immediate operational issues and pursuing more low-hanging fruit. 5. Organizations grow increasingly allergic to organizational change management. This is one of the most interesting (and surprising) trends that we are seeing in the market. An increasing number of organizations are becoming seemingly allergic to the term “organizational change management” – while at the same time recognizing the need to address the people side of their digital transformation initiatives. On one hand, they recognize the risk of not addressing organizational change, but on the other, they are jaded by past org change failures. In other words, organizational change management has a branding and PR problem. This starts with calling is something more specific, such as people enablement, workforce transition, business process implementation, and whatever other words of choice fit. However, words are just words, so it is even more important that organizations recognize the need for proven organizational change expertise and toolsets – something most ERP vendors, consultants, and system integrators aren’t good at. These are just five of the biggest predictions that we see in the coming year. It will clearly be an interesting year of transition. How will you navigate these changes to make your organization more successful in the new year and beyond?